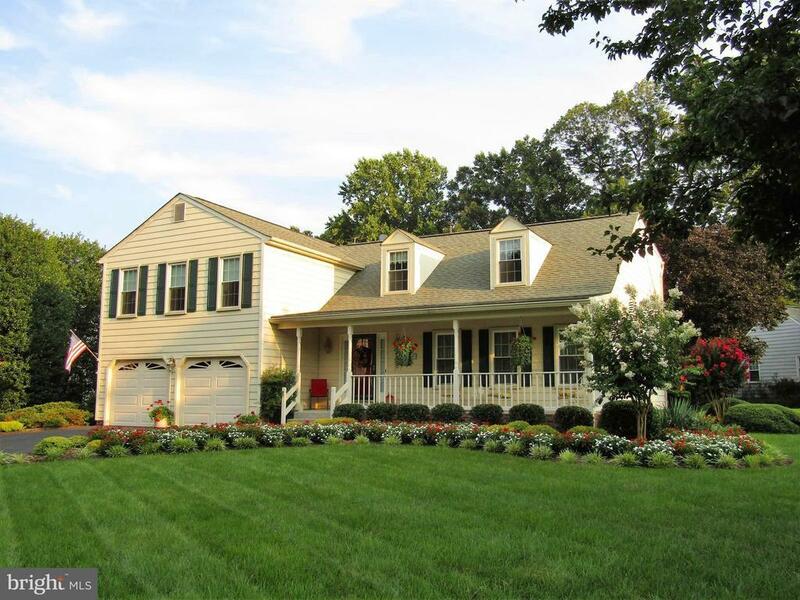 Beautifully maintained four level Split colonial with award-winning landscaping, located in desirable Gradys Walk subdivision. Paver walkway takes you to the front covered porch. As you enter the 2-story foyer with hardwood floors, you continue to the remodeled & updated kitchen. Kitchen features stainless steel appliances, granite counter tops, pantry, new flooring, and breakfast nook. Formal and separate living & dining rooms feature crown molding and chair rail. Foyer and Dining room also has wainscoting. A large step-down family room with gas fireplace and ceiling fan. Sliding glass door opens to a large deck, with trek floor and extruded vinyl wrapped railings, with a motorized sun awning, Overlooking lovely back yard with shed. underground sprinkler system with a separate a water meter. Upper level features a Spacious Master bedroom with step down sitting room, remodeled & upgraded master bath with quartz countertops, cabinets, and ceramic tile flooring and shower and an unbelievable walk-in closet which has two dormer windows which makes it bright and airy. Three additional good sized bedrooms, & laundry room. Half bath on the main level and full hall bath on the upper level have been updated also with granite countertops, new cabinetry and flooring. The lower level has a carpeted recreation room, a tiled workout area, half bath and a utility room for extra storage. Basement has a walkup exit to back yard. Two car garage with openers. Newer dual pane windows throughout the home. Directions: Rt 197 (Laurel Bowie Rd) to Gradys Walk, 4th house on left.